If you’re like most mechanical engineers, you’re probably not very good at typing. And even if you are, you probably don’t enjoy every minute of it. 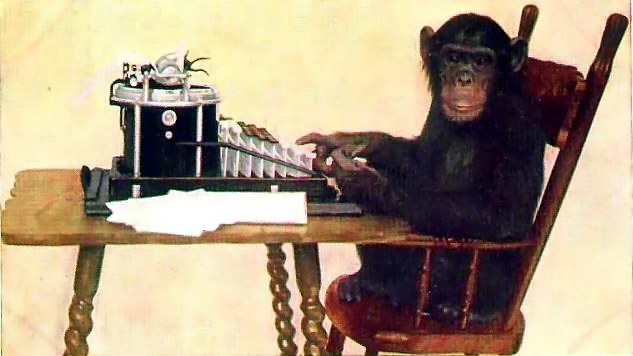 There’s a theory that an infinite number of monkeys typing for an infinite amount of time will eventually produce the complete works of Shakespeare, or maybe the Notes block for your Drawing! Or, using your SolidWorks Design Library, you can save and reuse frequently-used notes (and other annotations). Then you can just drag-and-drop your way to creating that “NOTES:” block of manufacturing instructions that lives on just about every drawing. Leave the typing to the monkeys! Here’s how: First, you’ll need to verify a setting in SolidWorks. Go to Tools > Options > System > Drawings, and make sure you uncheck “Disable note merging when dragging”. Now, you can practice this with any two note annotations on a SolidWorks Drawing. Just drag and drop one Note onto another and you’ll see it appends the dropped note to the end of the Note you dropped it on! It’s more fun when you make use of the Design Library. Right-click on your favorite note and choose Add to Library. You’ll be automatically pointed to the default file location for your Design Library notes folder, and you can choose a file name to save as. Now, open up your Design Library from the Task Pane (on the right), and start drag-dropping onto your Drawing. You might want to get a note started manually by typing “NOTES:” and a line break, and clicking the numbered list icon on the formatting bar. Then drag a note favorite out of your Task Pane and onto the existing note. Take that, monkeys! Not only is that much faster than an infinite number of monkeys typing for an infinite amount of time, it’s much more reliable. And less messy. CAPINC’s two day Advanced Drawings course includes many great time-saving Drawings and Detailing methods like this one! Jason Pancoast is Engineering Manager at CAPINC, a SolidWorks Value Added Reseller with locations across New England. He is a regular contributor to their CAPINC University blog. How do I learn how to use SolidWorks?